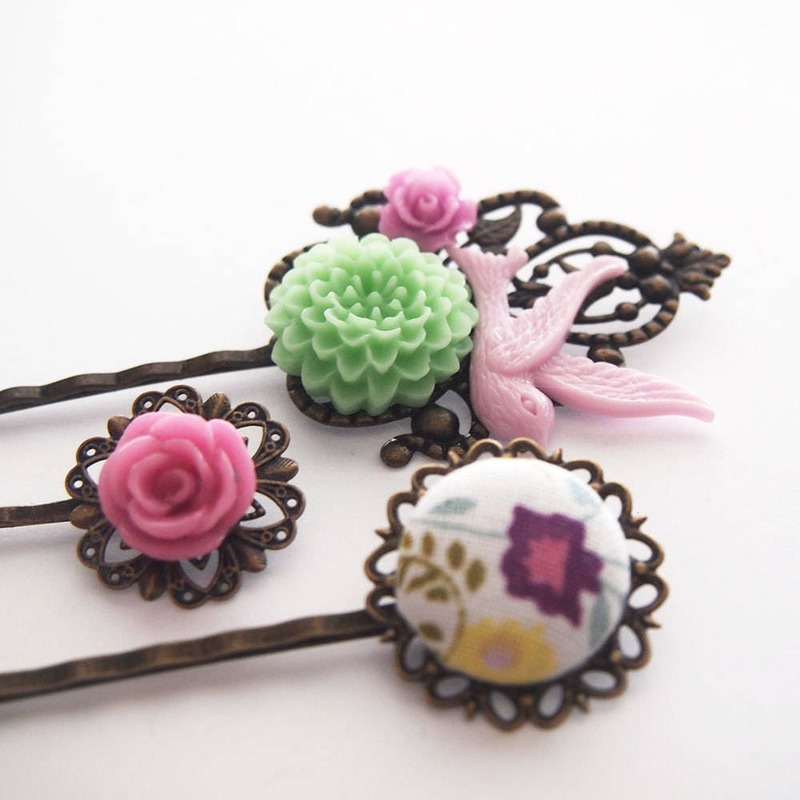 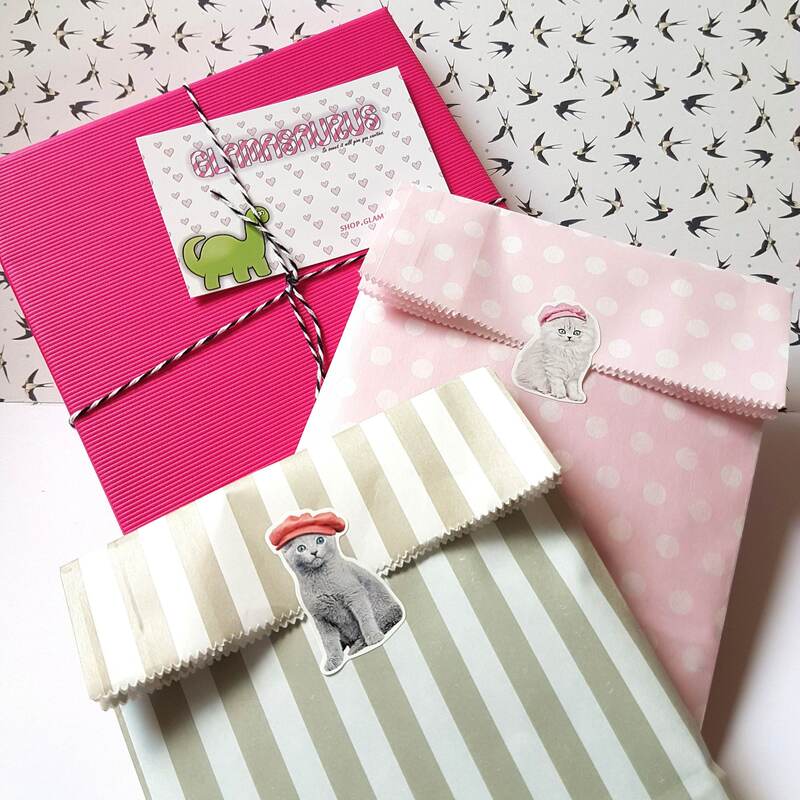 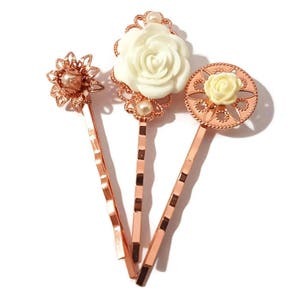 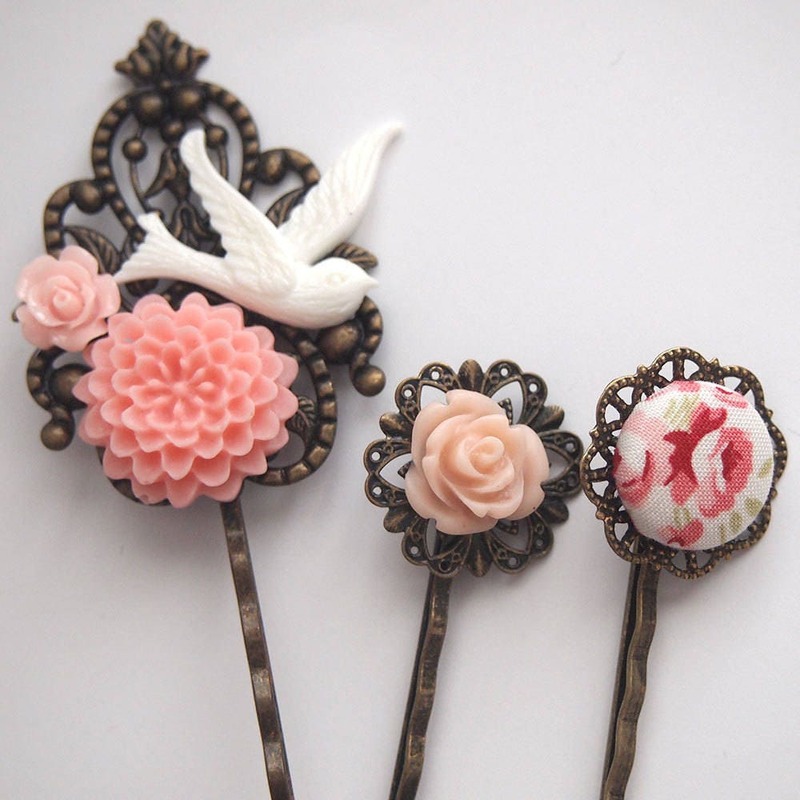 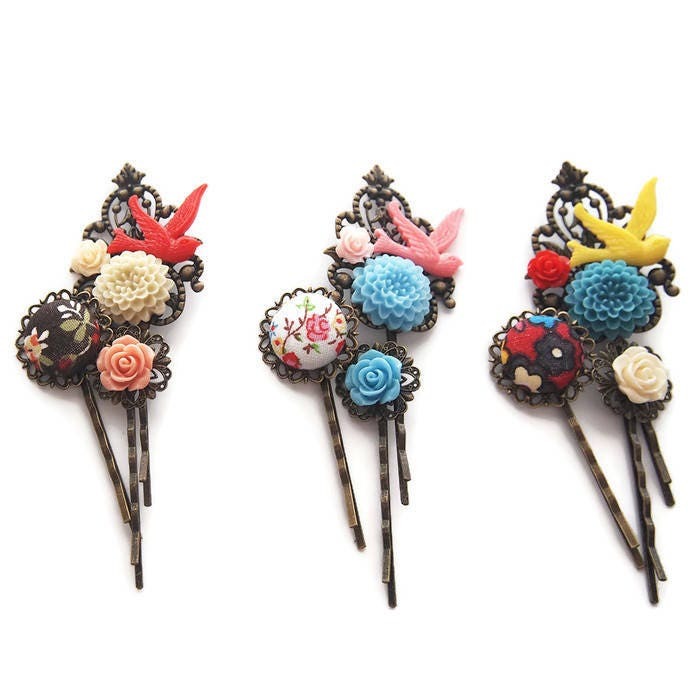 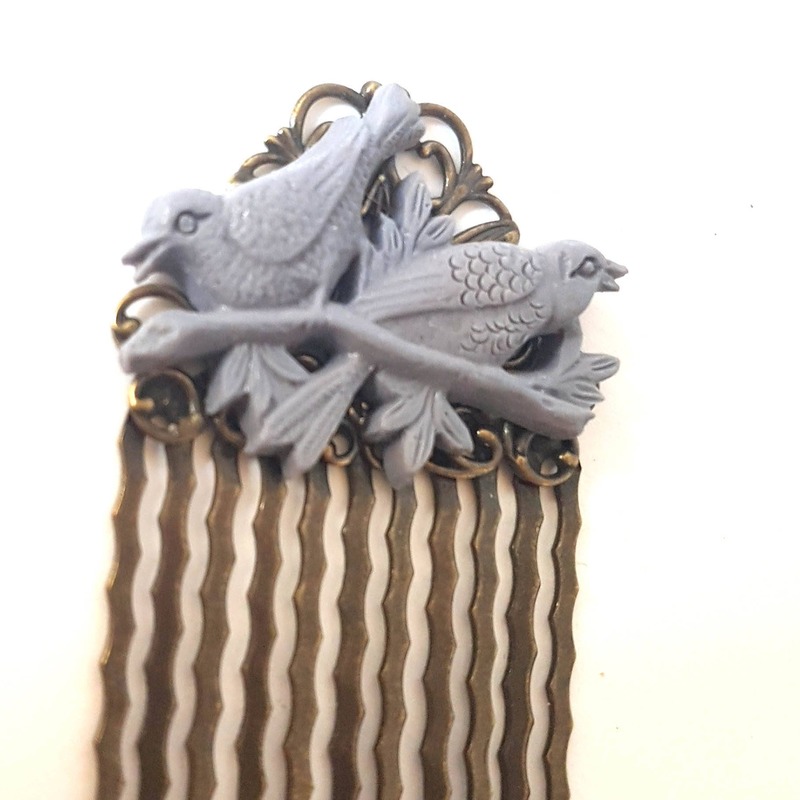 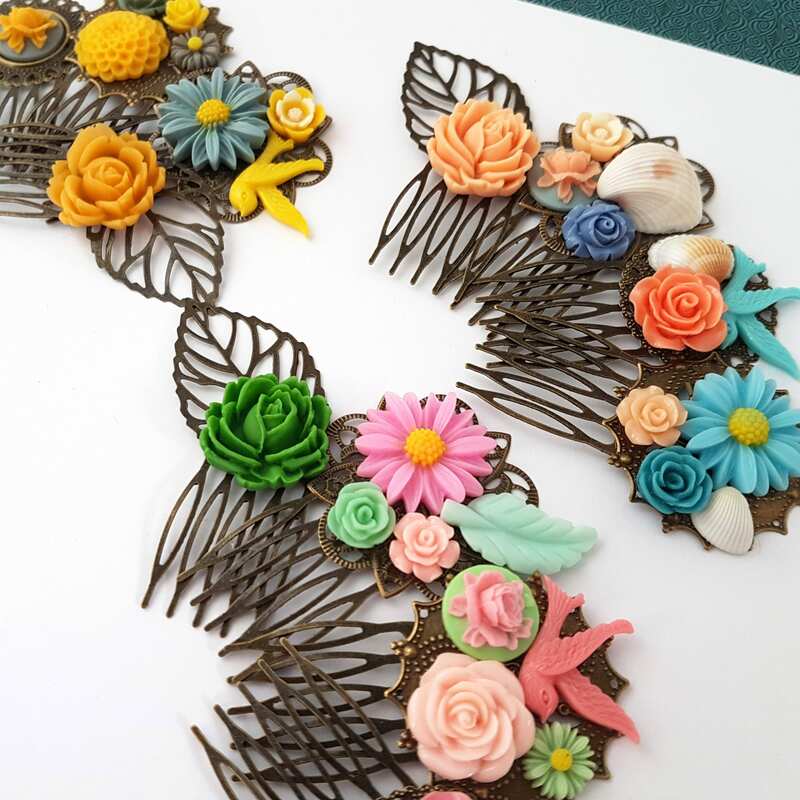 These gorgeous pin sets feature a large cluster bobby pin with a bird and 2 flowers. 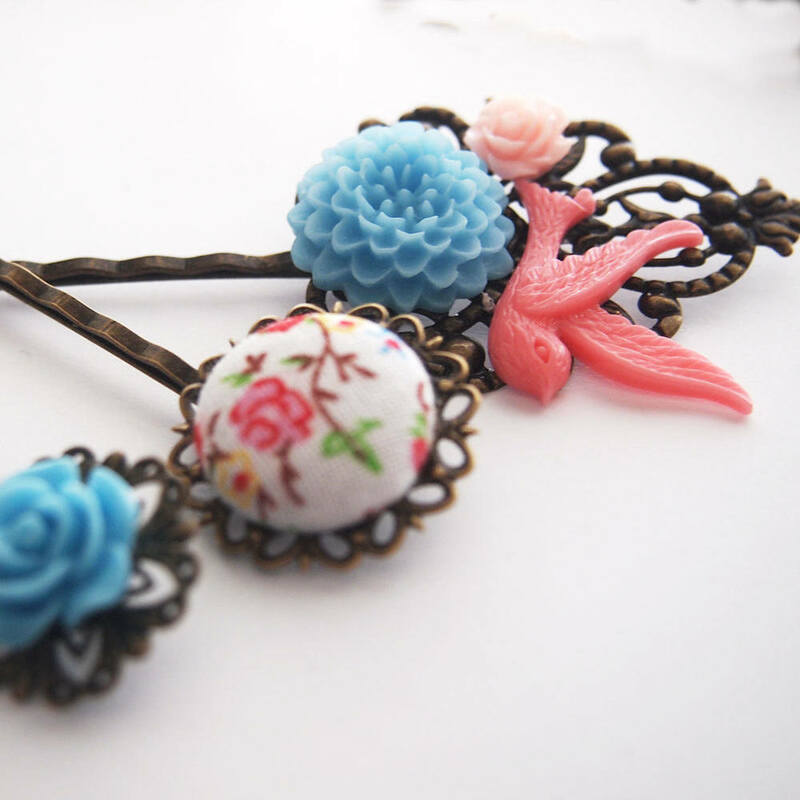 There is also a handmade fabric button and rose pin as well. 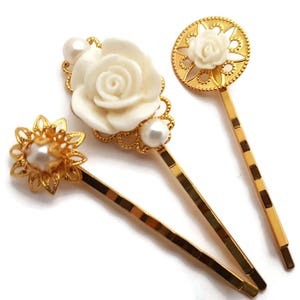 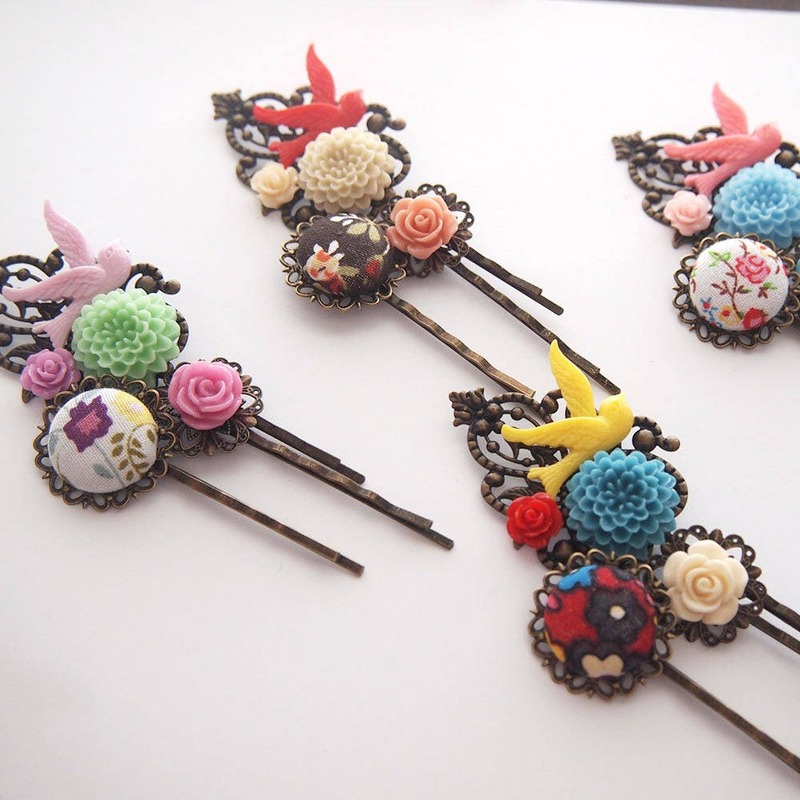 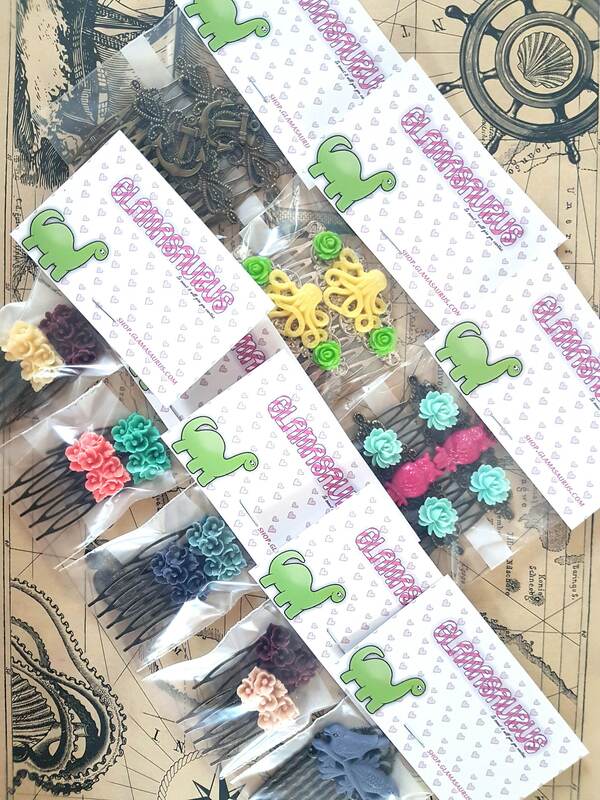 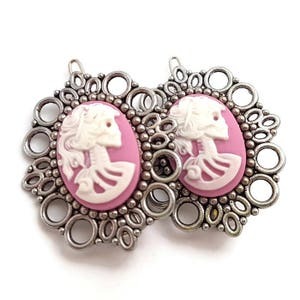 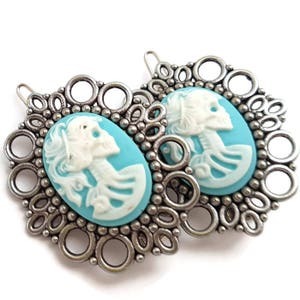 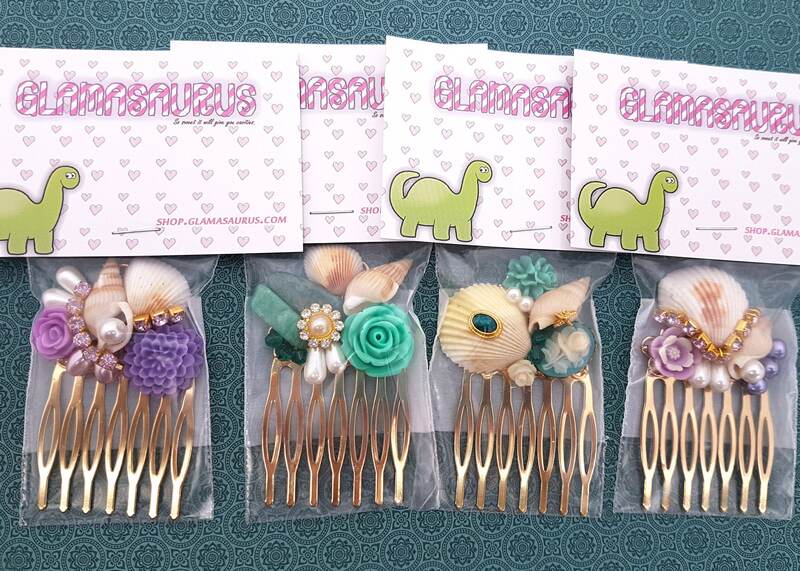 Each hair pin is 2.25 inches / 6cm long without the filigree.